Whether you want to watch the World Cup online from anywhere, or you're wondering just which components Samsung is going to pack into its Galaxy Note 9, we've got something for you: read on for our daily tech news roundup, courtesy of our friends at TechRadar. The E3 gaming expo continues in California, and Nintendo is the latest giant of the industry to have announced some new titles. Nintendo Switch owners can look forward to the likes of Super Smash Bros. Ultimate, Fire Emblem: Three Houses, Super Mario Party, Overcooked 2 and the smash hit Fortnite making their way to Nintendo's platform soon. Did we mention there was a video games convention happening this week? One of the more interesting tidbits to come out of E3 is the rumour that the next Xbox console is going to be making its bow in 2020 – that's as per some unofficial information leaked to the media, but it sounds plausible to us. Apparently a whole family of devices is on the way. The biggest tournament in football gets underway tomorrow, and TechRadar has a comprehensive guide on how you can watch all the action, over the web, from wherever you happen to be – even in 4K in some places. Get all the information you need ahead of time and make sure you don't miss a kick once the event gets underway in Russia. How will Samsung follow the Galaxy Note 8? The Note 9 should be officially unveiled in the next month or two, and we just got another tip-off on what to expect from a reputable leaker. Apparently the super-sized, stylus-equipped phone is going to come with a 4,000mAh battery – even taking the large, bright screen into account, that should provide plenty of juice for the Galaxy Note 9. 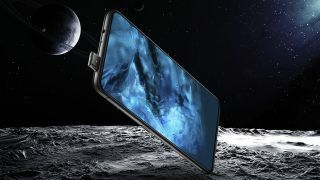 It's not going to be widely available outside of China, but the Vivo Nex is still worth mentioning because of its fantastic 91.24% screen-to-body ratio, just about the highest we've ever seen on a smartphone. Not only does it have ultra-thin bezels, it also banishes the display notch, with a pop-up camera taking care of the selfie-shooting duties instead.